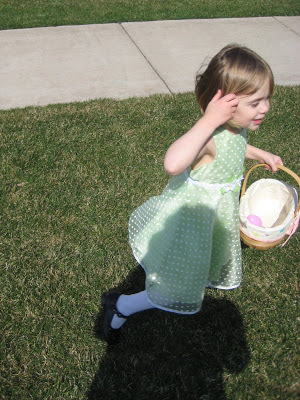 This Easter Sunday, we hosted our very first Easter Egg Hunt. We invited extended family and those neighbors who were in town. 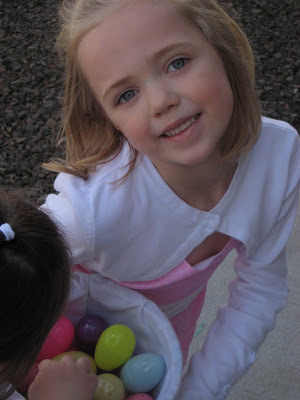 We ended up with 17 children participating, and we hid more than 270 eggs! Hiding so many eggs was not difficult this year, because we do not have a lot of landscaping or trees, yet. So, many of the eggs were simply scattered across our lawn. Inside the eggs were jelly beans and other candy … and some Catholic stickers from Dollar Tree (of all places! ), too. But if they found a Resurrection Egg, they were instructed to keep it. 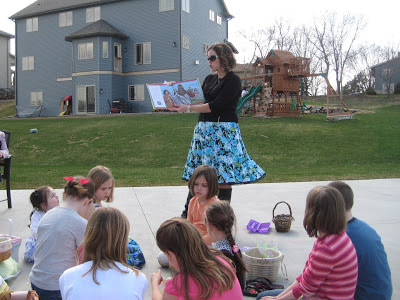 We originally got the idea for this egg hunt from some friends from our old neighborhood. They always hosted a similar egg hunt, and our children l-o-v-e-d it. I always liked how beautifully it brought the fun of egg hunting and candy back to the true meaning of why we celebrate Easter—Jesus! So, we decided to carry on the tradition in our new neighborhood. 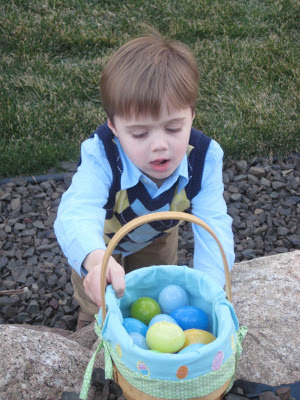 Hopefully, this was only the first of many egg-stravagant hunts in our backyard! Every night my girls request a "Betty and Batty" story. Betty & Batty are our made-up characters, and some nights (many nights) I am hard-pressed to think of an adventure for them. Not last night! Last night they went on an Easter egg hunt, complete with 12 Resurrection eggs and chocolate bunnies at the end. So thank you on behalf of my girls. I'll bet the real egg hunt was even MORE fun. Have a blessed week! I am sure that someday…sometime soon…it will feel like spring.